Windows Server 2012 R2- which is at the heart of Microsoft’s revolutionary new Cloud OS platform brings Microsoft’s experience to delivering global-scale cloud services into your infrastructure across the globe. 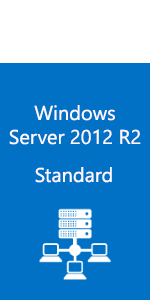 Windows Server 2012 R2 delivers new features and enhancements in virtualization, management, storage, networking, virtual desktop infrastructure, access and information protection, web and application platform, and more. 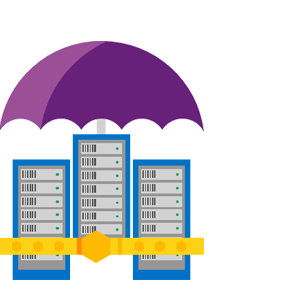 Transform your IT operations to reduce costs and deliver a new level of business value with Windows Server. Windows Server 2012 R2 is an enterprise-grade platform providing 5x more logical processor support, 4x more physical memory and 16x more memory support per virtual machine than Windows Server 2008 R2 and more features than all prior Windows Server versions. Integrated: 10 User CALs are integrated with Windows Server 2012 R2 Standard and 25 User CALs are integrated on Windows Server 2012 R2 Datacenter on our listed product, no additional purchase required. But Windows Server 2012 Remote Desktop Service(option, if you need to work on server remotely through the world) required RDS CAL which is different then server user access cal, please visit here for: Windows Server 2012 RDS CALs. Beware from OEM License: OEM License is illegal for public/business sale. OEM Licensed software is the software that comes pre-installed when you purchase a new OEM computer/desktop/laptop from the manufacturers like Dell, Asus, Acer, Toshiba ..etc. We only sale Retail or Volume License which is 100% legal for public or business use. Our License is Retail version or the MAK/Volume (Datacenter edition only) License. Anything else, Contact us. 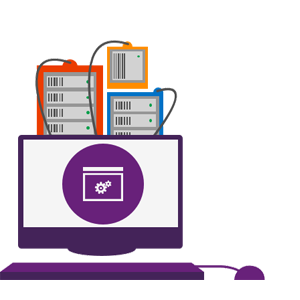 Foundation edition is ideal for small businesses that have up to 15 users and want a general purpose server. The licensing for Foundation has not changed; it continues to be a server license for a one-processor server that does not require CALs and is sold only through OEM (original equipment manufacturer). Contact us for this edition. Provide secure remote access to your mobile workers and automatic VPN connections to enable your users to sync their work files from a corporate server to their devices. 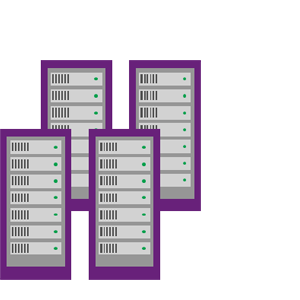 Build scalable, high-performance, highly available storage solutions using industry-standard hardware so your services can be continuously available too. Take advantage of the cost savings of virtualization and maximize server hardware investments by consolidating your servers as virtual machines on a single physical host. 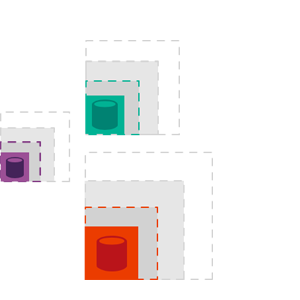 Use a single dashboard to view take action across multiple servers through a single relevant dashboard in Server Manager. Group two or more physical servers and use automatic failover to increase availability during planned or unplanned downtime. 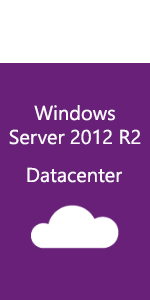 Windows Server 2012 R2 Datacenter - on a single physical host with this license, you can run an unlimited number of virtual machines (recall that these virtual machines can be easily activated using AVMA - Automatic Virtual Machine Activation). Hyper-V Replica - Affordable disaster recovery, included in Windows Server 2012, makes an initial replica of virtual machines and then replicates any changes. A complete server virtualization platform that delivers a fully isolated, multitenant environment. Flexible storage options allows you to control the cost of your growing storage needs. Improve server performance, availability, and storage resource efficiency with the storage hardware of your choice. Increased scalability and performance through a high-density, scalable environment that can adapt to perform optimally based on your changing needs. 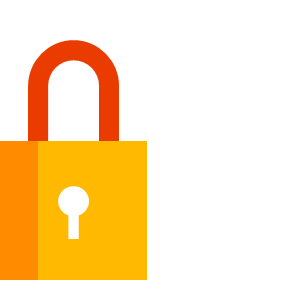 Every user or device accessing the server OS requires a CAL (Client Access License). 5 user/device CALs included on our product License of this sale. Please visit Microsoft library: to learn the core content that IT pros need to evaluate, plan, deploy, manage, troubleshoot, and support servers running the Windows Server 2012 R2 and Windows Server 2012 operating systems. To find the information you need, browse the content listed below, or use our search feature. If you need help with using Windows at home, see Windows Help and How-To. HalfRain eStore. Also visit here for latest Client OS and here USB Tools for writing/burning the OS image(iso) file to a Flash Drive or DVD. 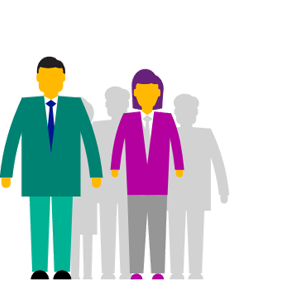 Answer: With Windows Server 2012 R2, there is no software to install in order to add CALs. But you should have the CALs as required your environment, And you will get a piece of paper or soft copy (your invoice) that indicates you've purchased the required number of CALs and that's it. There is no key on the user cal license itself, only a tracking ID as Microsoft/Sellers reference only to keep the record which server sold with CALs for Microsoft internal inventory. On your end nothing to do without paying the payment and from our end we will mark the server sold with user cal for microsoft inventory. Best fit with Hardware Server Brand: Dell PowerEdge | HPE ProLiant | Gen10 Server | HPE BladeSystem | ProLiant Blade | ProLiant Rack | ProLiant MicroServer | ProLiant Tower | HPE Apollo Systems | Cloudline | IBM Power System | IBM System X | Dell PowerEdge T20 | Lenovo ThinkServer | Supermicro SuperWorkstation | Fujitsu Primergy | HP Proliant | Scan 3XS | Asus TS500 | Cisco Systems | Intel Server | Super Micro Computer .. etc.